It looks like the "Thanks for the feedback!" modal is at the wrong "hover" level. When it opens, if you scroll up, it appears over the website bar, covering the search bar, however it feels like it should be under. See screenshots below. 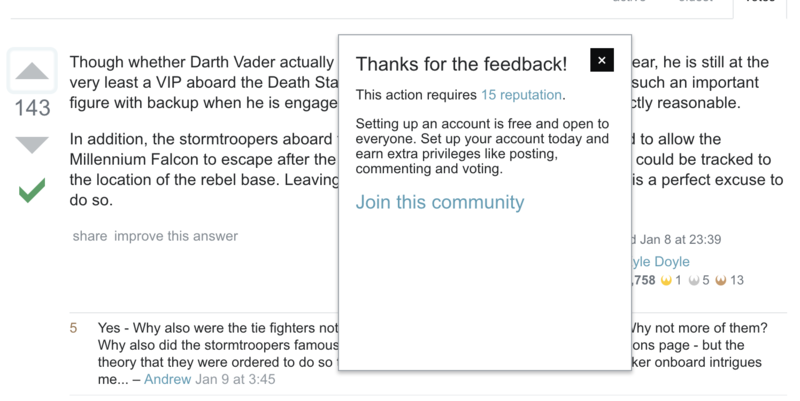 Upvote an answer, bringing up a popup saying "Thanks for the feedback!" Example Newsletter of meta sites results in Oops! Something Bad Happened!